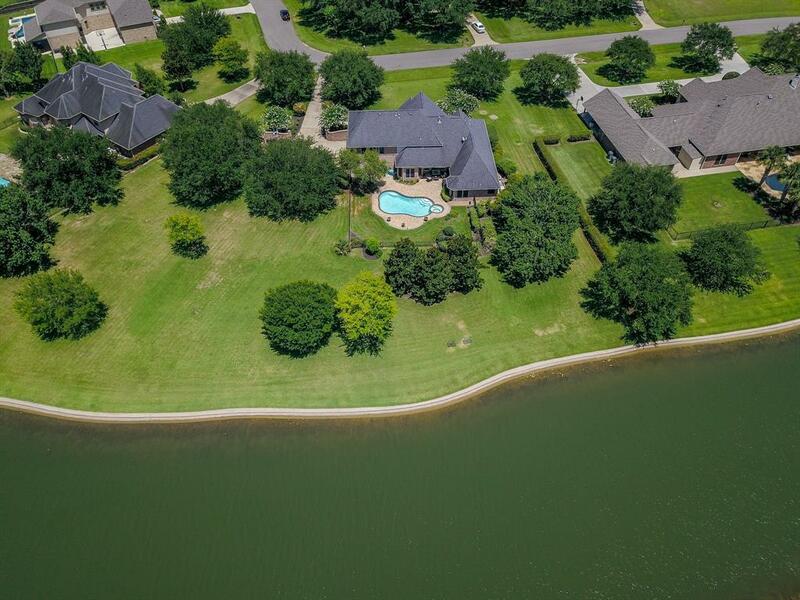 Awesome 1-Acre-Waterfront-Home in the beautiful, gated, Texana Plantation! 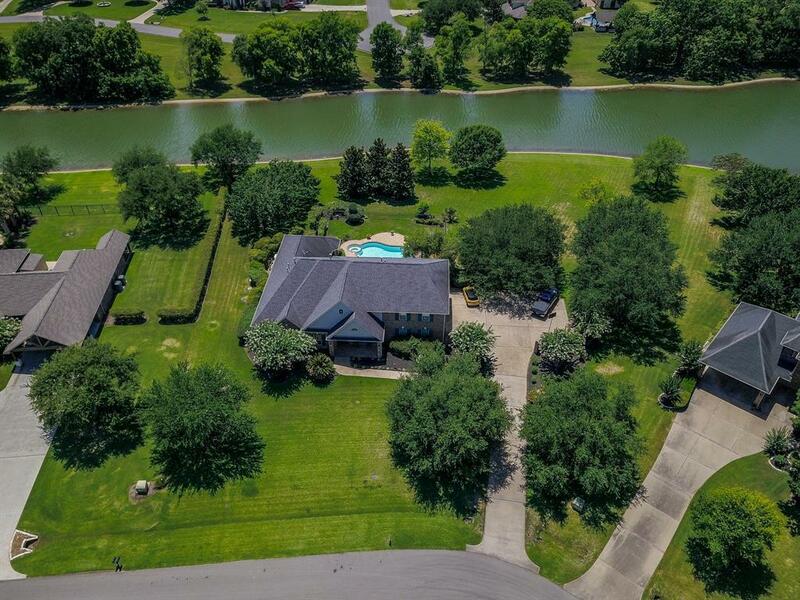 Baseball field-shaped-lot( Over 47000 square feet) with huge waterfront line-great for fishing; nearly 270 feet long. 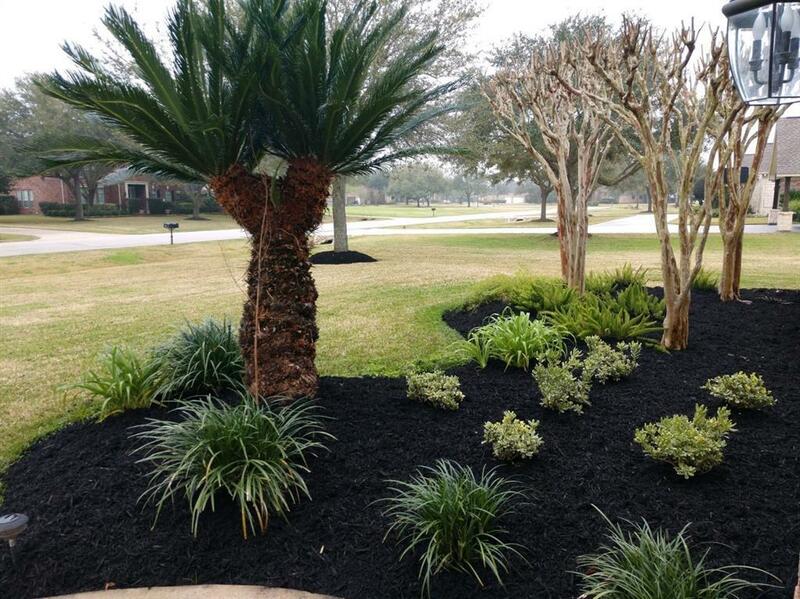 Beautiful property-perfect for entertaining! 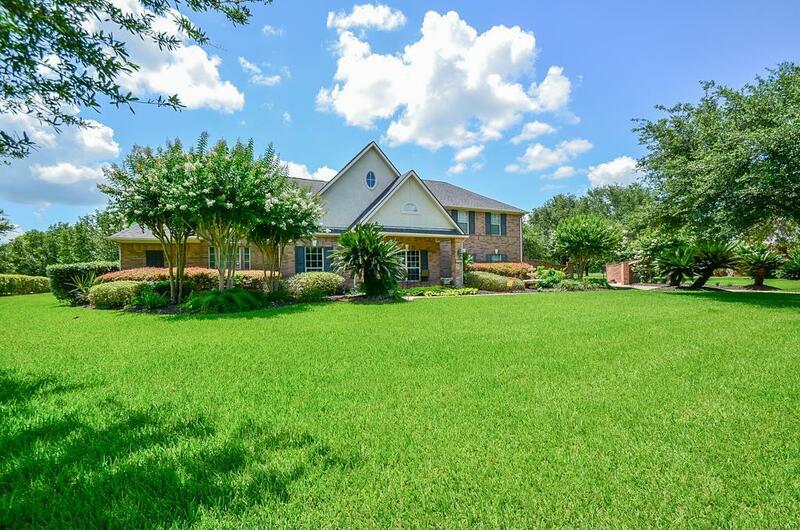 Spacious 4 Bedrooms, 3.5 baths, pool and spa (All bedrooms on downstairs), plus a huge game room upstairs with a wet bar and its own half bath, 3 car garage and plenty of extra parking space! Gorgeous views at sundown!The home NEVER FLOODED!